Welcome to Waunakee Rocky Rococo! Waunakee Rocky Rococo is a family restaurant located in the heart of Waunakee. We offer a delicious variety of pan-style pizza by the slice or whole pies, Italian breadsticks, garden fresh salad bar, and build your own pasta featuring red or white sauce with meat and veggie options. Whole wheat and thin crust pizzas are also available. We are located inside of ﻿Waun-A-Bowl﻿. 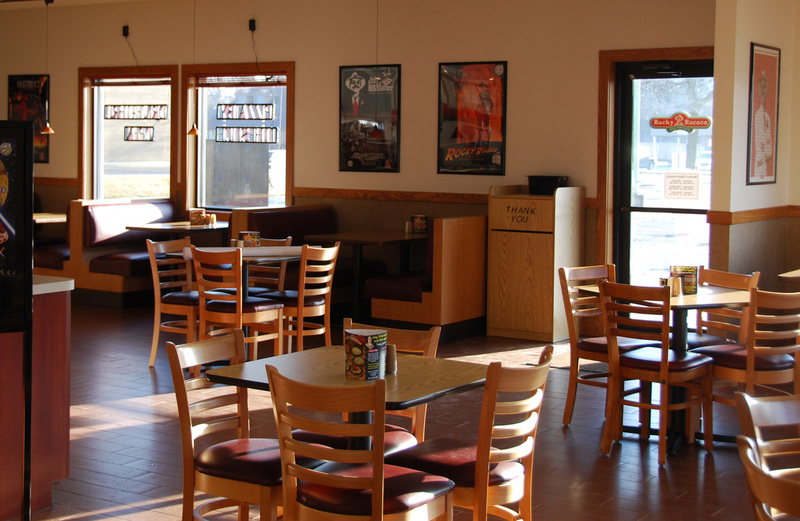 Patrons may dine in the restaurant, dine in the bowling center, carry out or use our drive thru lane.